We are an integrated management consulting and market research firm with over 25 years experience in providing focused and results-oriented services to clients in Canada, the U.S. and Europe. We specialize in providing senior management advisory services for private sector, government, industry associations and not-for-profit organizations. We help our clients improve profitability, organizational effectiveness and increase the value of their companies. We go beyond providing you with insightful information and analysis. We focus on helping you make the right decisions that will improve the effectiveness, performance and profitability of your organization. Our role is to help you improve the effectiveness and profitability of your organization. We take a senior management perspective by providing our clients with not only the most advanced and innovative management consulting and market research services but we follow this through by developing innovative and sound business recommendations that you can implement to help you achieve your goals. With offices in Toronto, Edmonton and Vancouver, we are able to provide senior management advisory services to help your organization define and achieve your strategic objectives. 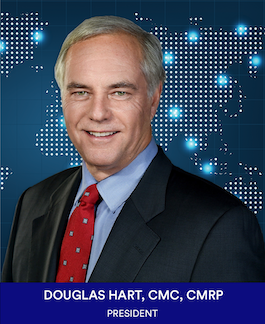 Please contact Mr. Douglas Hart, President at 416-363-4598 or e-mail at info@hartconsultants.com to discuss how we can help you achieve your goals.